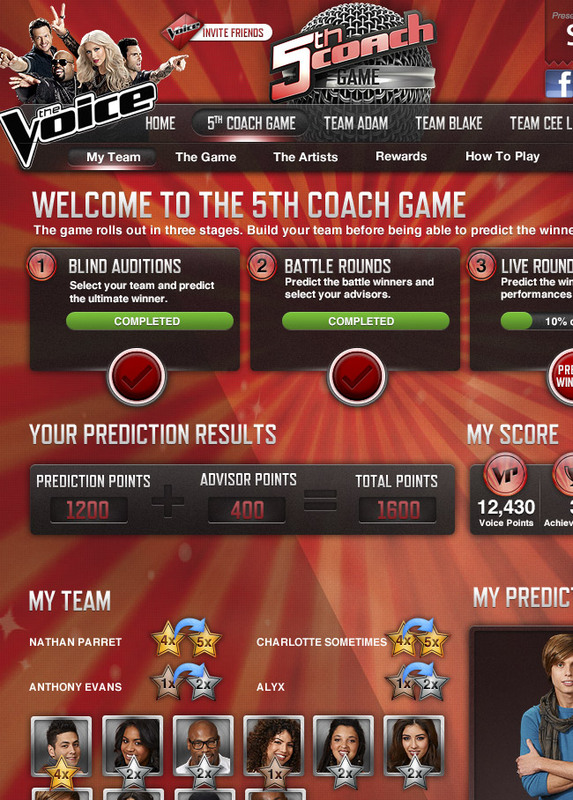 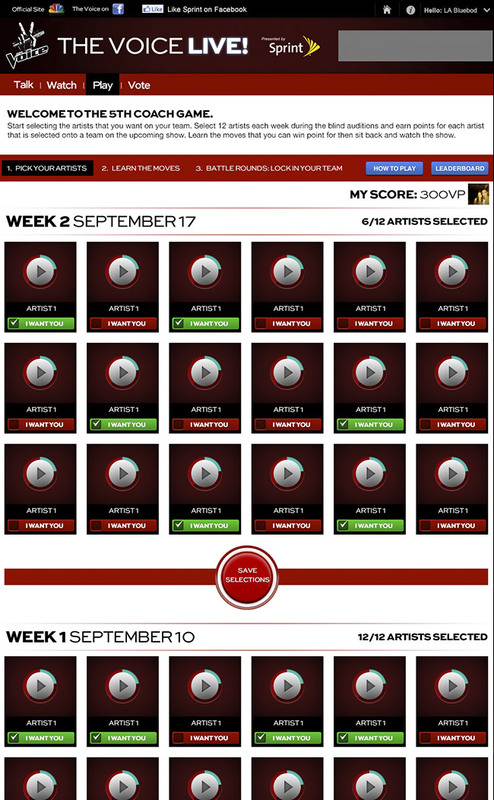 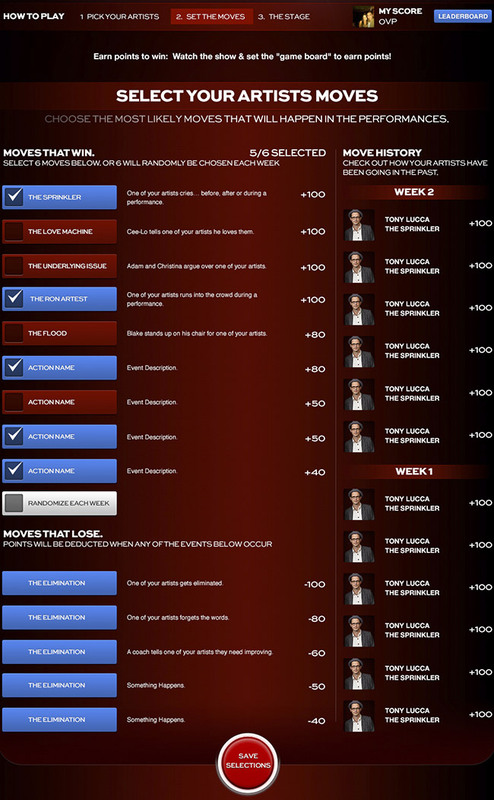 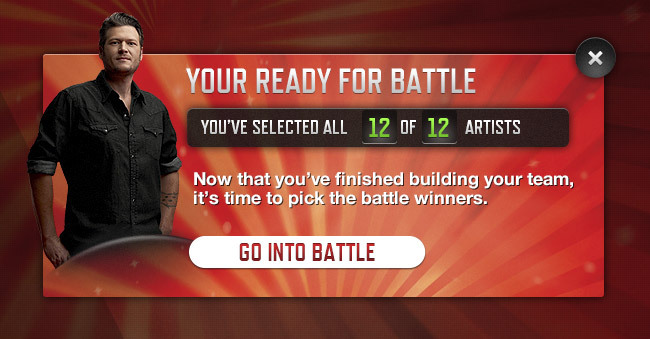 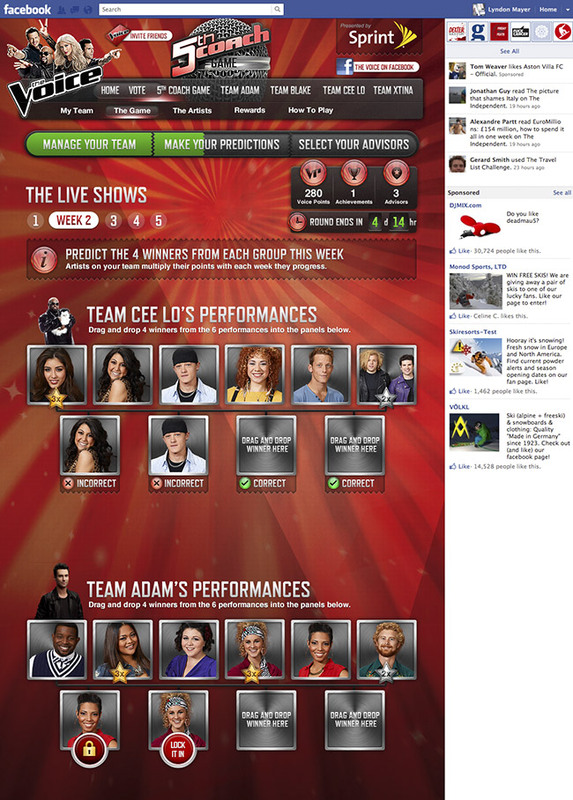 During the 2011 and 2012 seasons of NBC's The Voice, I have worked as lead designer on the show's Facebook experience. 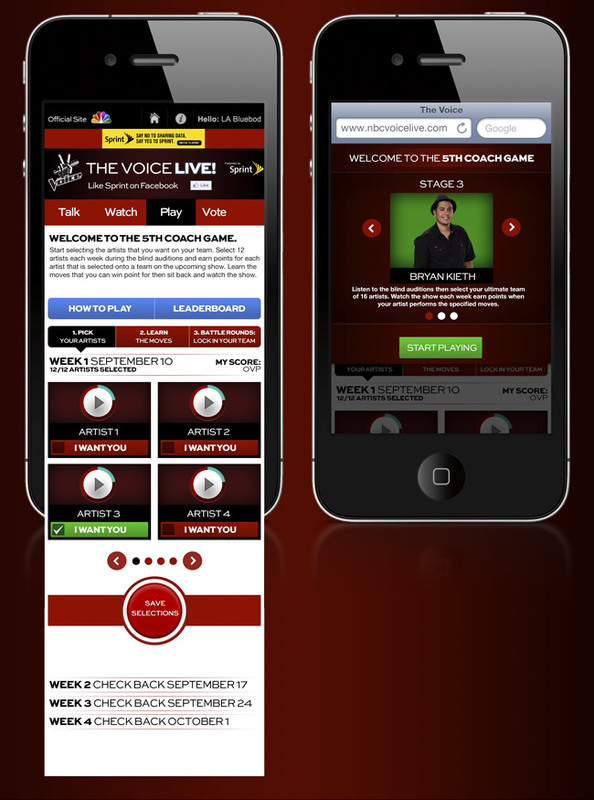 We've designed an experience that uses the game mechanic the show is built on and applies it to an online experience. 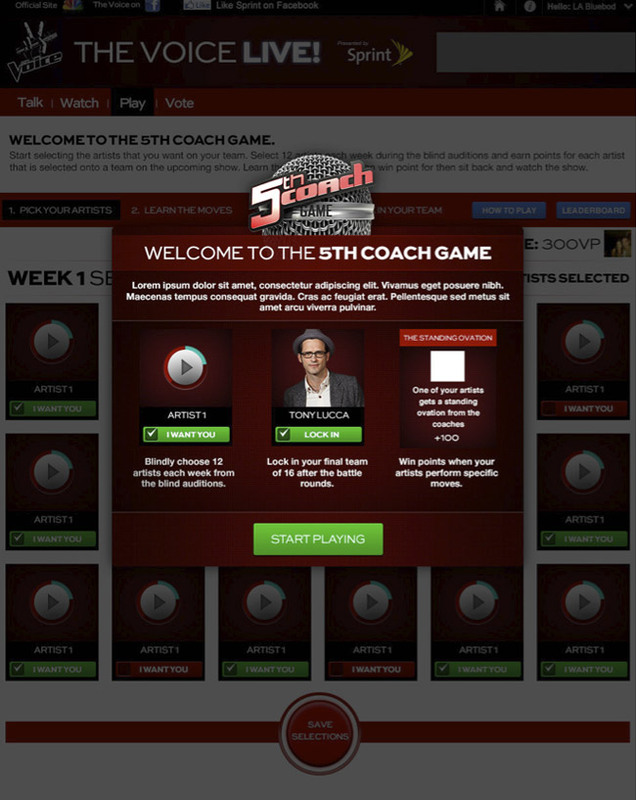 Effectively putting the player in the role of the shows 5th Coach.